Potato kurma recipe or aloo kurma recipe for ghee rice, chapathi, Biryani, puri, Pulao – also called as chapati kurma or Poori kurma. 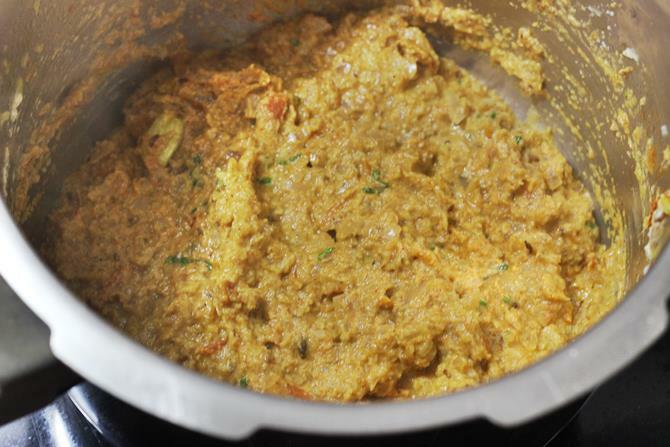 Basically a kurma or korma is a popular curry dish from south Asian countries made with coconut, curd and nuts. Kurma is an everyday side dish that’s eaten often in south Indian homes. 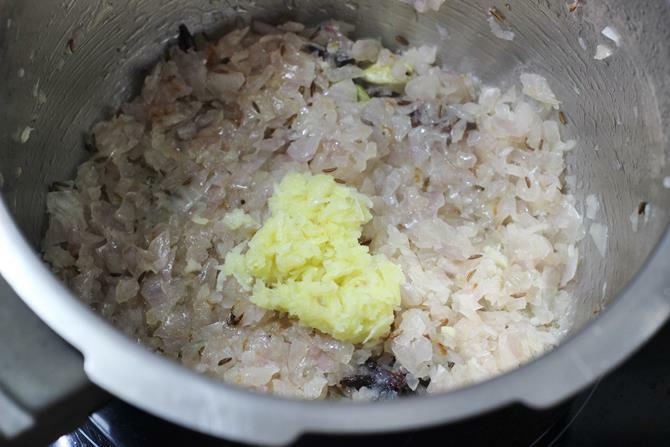 In Andhra pradesh, a veg biryani, veg pulao or any aromatic rice like ghee rice is mostly served with a potato kurma. 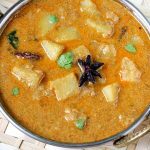 This potato kurma is one of the best to serve with some plain basmati rice or any special rice varieties like ghee rice, jeera rice, pulao or biryani. 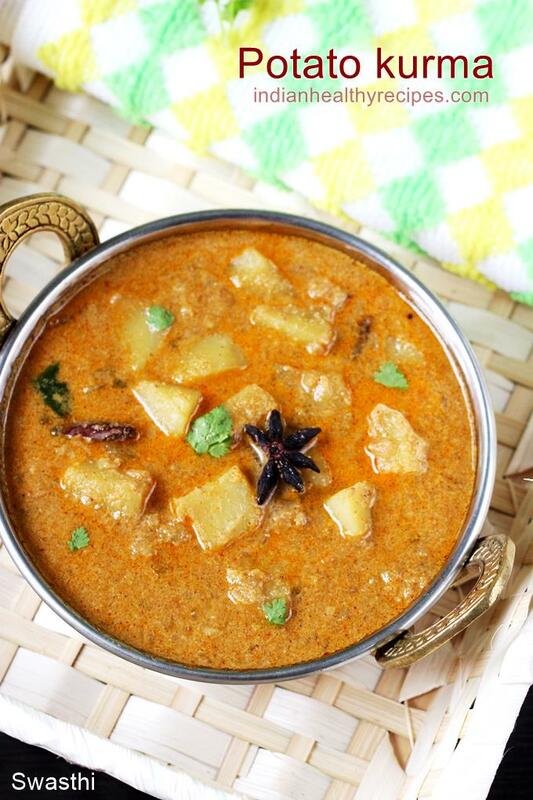 You can also check this south Indian hotel style mixed vegetable kurma. I rarely make biryani gravy or side dishes for biryani or pulao and most times I just end up with an onion raita. 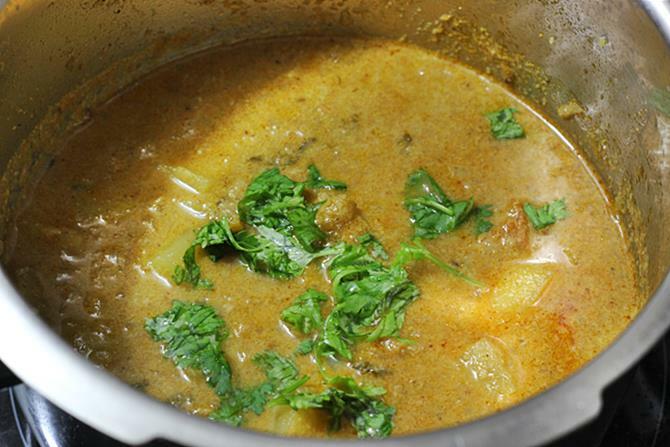 This potato kurma recipe is keeper and I make it almost every time I make variety rice. You can also check Aloo matar, Restaurant style Aloo gobi and Punjabi Dum aloo. Add oil to a hot pan, and saute dry spices until they begin to sizzle. Then add tomatoes and sprinkle salt and turmeric. Fry until the tomatoes turn completely soft and blend well with onions. Next add mint or coriander leaves and fry for a minute. 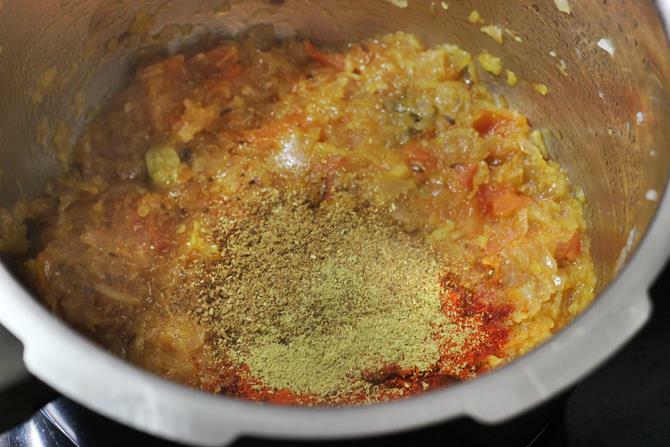 Add garam masala, red chili powder and crushed fennel or saunf. Saute for 2 to 3 minutes until the raw smell of chili powder goes away. Transfer coconut and poppy seeds paste or half cup yogurt. Stir and fry until the mixture begins to smell good. Add potatoes and saute for 2 minutes. You can use parboiled or un boiled potatoes. Add water and stir. Cook on a low flame till the potato is cooked and oil begins to separate. You can also pressure cook on a low flame for one whistle. 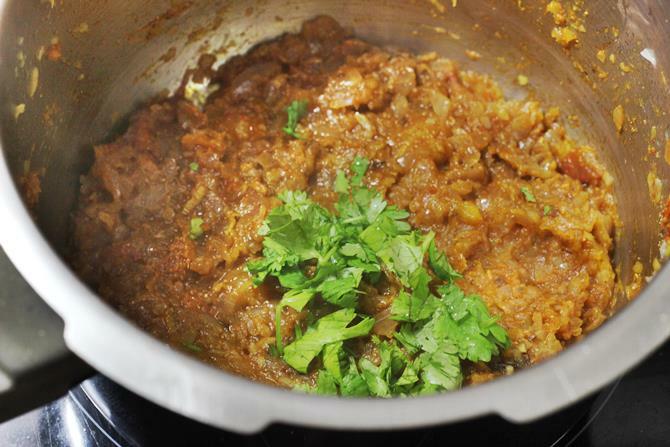 Add chopped coriander and Serve potato kurma with biryani, pulao or chapathi. 1. Add coconut and poppy seeds or cashews or fried gram to a blender and make a smooth and thick paste using little water. If you do not want to use coconut & poppy seeds then just use half cup curd/ yogurt. 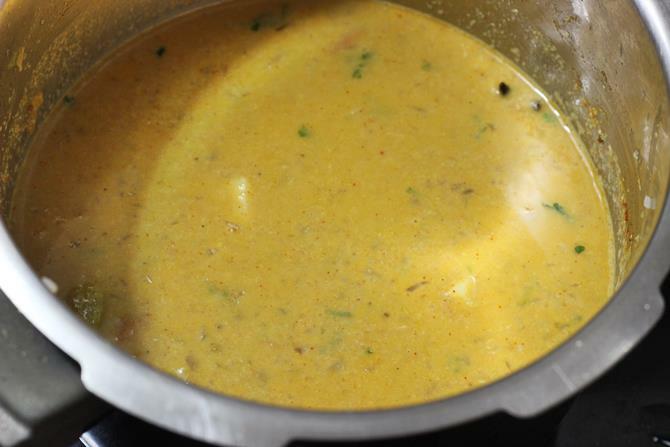 Using only curd gives a different taste to the curry and is not as thick as the coconut one, but tastes good. 2. 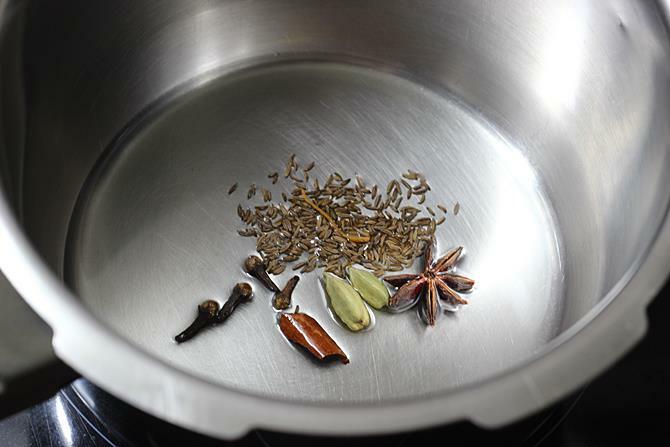 Heat oil in a pan or pressure cooker, add cardamom, cloves, star anise, cloves, small cinnamon stick and cumin or shahi jeera. You can also use bay leaf and a single strand of mace. Saute until they sizzle. 3. 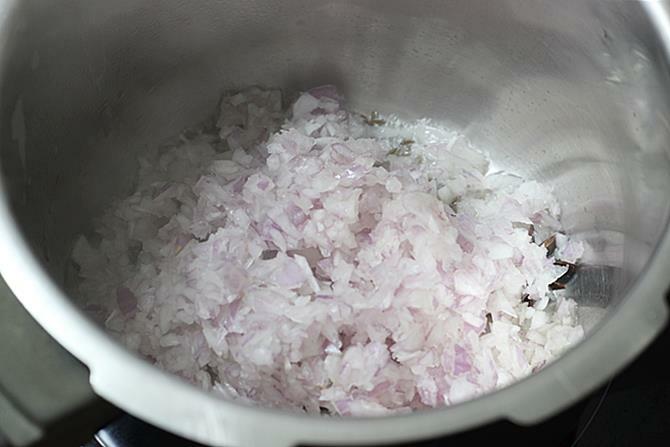 Add finely chopped onions and fry until golden. 4. Next add ginger garlic and fry until the raw smell is gone. 5. 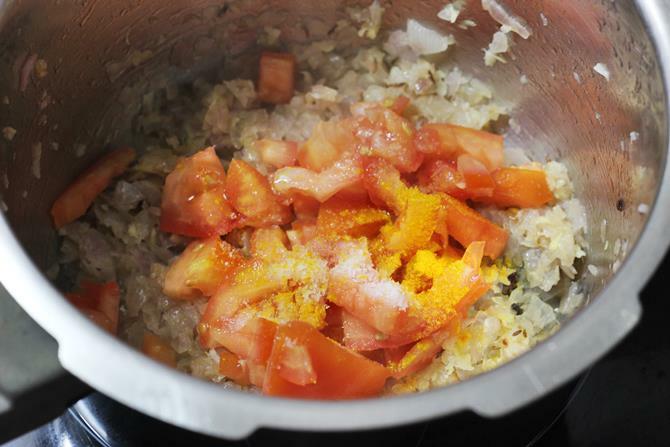 Add finely chopped tomatoes, salt and turmeric. 6. Fry until the tomatoes completely get mushy and blend well with onions. 7. Add red chili powder, garam masala and sombu/ fennel seeds crushed or powdered. Fennel seeds lend a unique flavor. You can pulse them in a blender with garam masala and use. 8. Next add coriander leaves or pudina/ mint. For an andhra style, use chopped pudina. Fry everything well for 1 more minute. I suggest not to skip this as well since this lends a good flavor. 9. 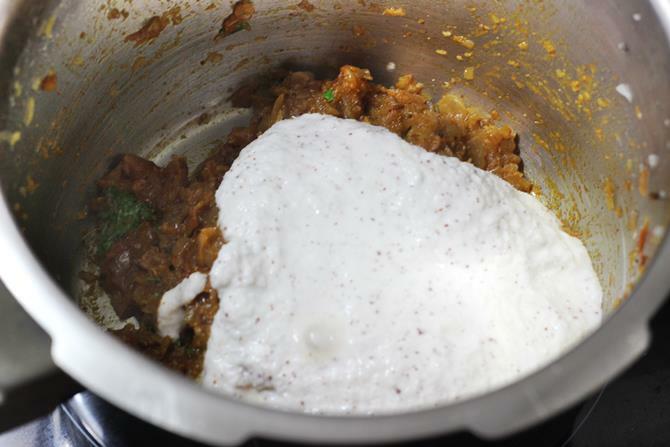 Add coconut paste or half cup curd. 10. Mix everything and fry for 2 to 3 minutes until the coconut begins to smell good. 11. Add cubed potatoes. You can also boil potatoes till 3/4 cooked and then add here. 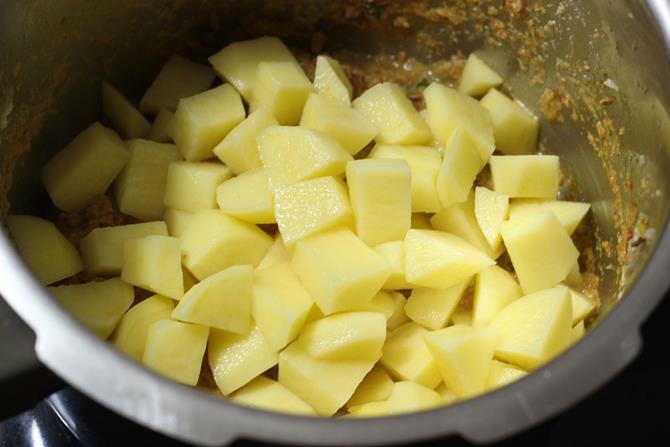 Some variety of potatoes don’t get cooked after adding to the curry, if you any time had a trouble like that, i suggest cooking the potatoes till 3/4 done and then add it here. 12. Pour water to cover the potatoes. I used 1 ¾ cups water. If you have boiled potatoes separately, you can use that water here. Do not add too much water as it may make the curry thin. 13. Cooking korma on a low flame always yields the best taste. Cook until the potatoes are completely cooked. If making in a pressure cooker, cook for one whistle. When the pressure goes off, stir. Stir well. You can adjust salt now. If needed to bring it to a thicker consistency, you can cook further. Add coriander leaves. 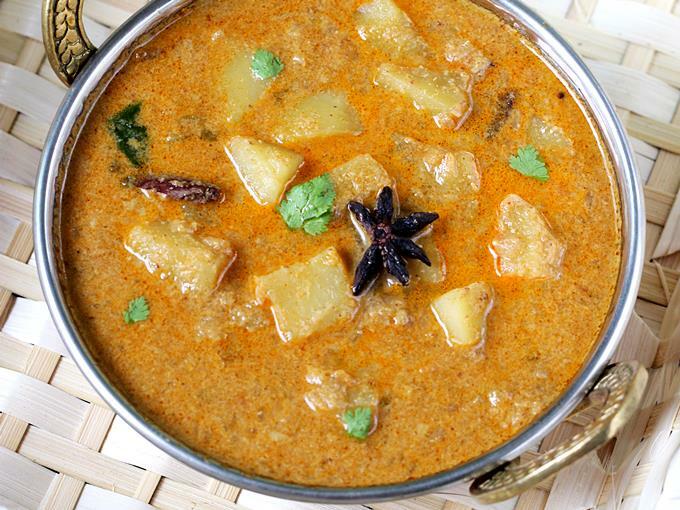 Serve potato kurma with biryani, chapathi or puri. Yes you can add peas. I love all your receipes swasthi is the best ! So happy to know you love the recipes. Hi, I like your clear step by step directions for the recipes. I was going through chicken curry recipe and noticed that we should put poppy seed mixture towards the end. Whereas in aaloo korma we put in the beginning. Wanted to know the reason behind. Or its our choice if we put beginning or end. Thank you very much for the recipe. It turned out to be super tasty. I made it for around 10 people and everyone enjoyed it . 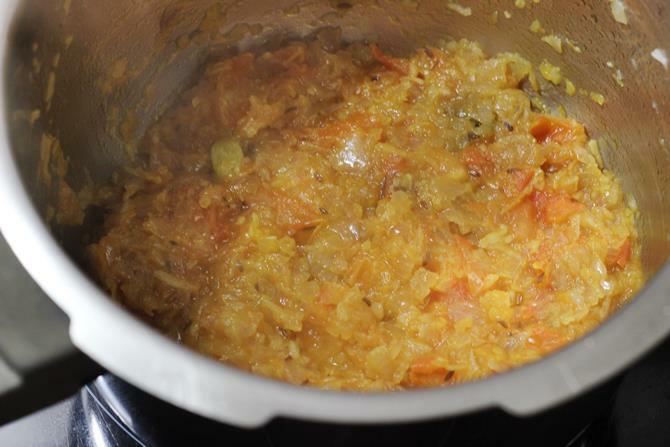 Shall we use veggies like carrot,beans,and peanut to the potato kurma…. Potato kurma came well and went well with biriani.